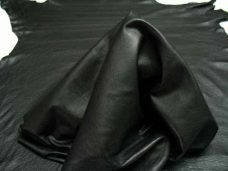 1 review for "Affordable Lambskin Leather Hides for sale: Ultra Premium, Standard Black." Important Note: Please make sure you read carefully and pay attention to all details. Many important subjects are covered such as item Descriptions, Size, Selection, Thickness, Shipping/Handling fees information and etc. LEATHER SQ.FT. IS NOT TO BE CONFUSED WITH FABRIC SQ.FT. Due to the unpredictable shape of an animal skin, LEATHER HIDES have an IRREGULAR SHAPE and we are unable to give customers a perfect rectangular dimension. A 2 Sq.Ft skin will have a total surface area of 2 Sq.Ft. Again, this area is not always shaped in a perfect rectangle. In order to accurately measure the skins we utilize exclusive hi-tech machinery, with laser technology to measure the precise surface area of each individual skin. If you unsure with how a hide shape looks, we suggest that you order a single hide before committing yourself to a larger quantity. 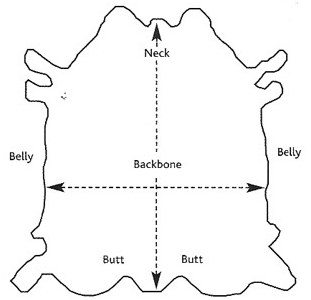 Please remember, NO two animal skins will have the same size and shape. We use USPS service, When we ship your item(s) our system automatically generates a tracking number. We will then forward this number and other information to your e-mail and your PayPal account. Please keep this information for your future reference and for checking the status of your shipment. Shipping process time: Our normal shipping process is within 48 hours from the time you placed an order, Monday through Friday except holidays. Overnight shipping for Domestic. : The overnight shipping and processing cost is greatly higher than the standard price of shipping. To have your order rushed you must contact us at sales@fashionleather.com prior to 10 am PST (west coast time) so we can adjust your shipment type. The additional cost will be determined based on your destination postal code, and the weight of the merchandise(s). We will calculate this additional cost, and collect the money through your PayPal account. To pay via PayPal, we will request the money from your account, and you must respond immediately to speed up the process. International priority shipping (normal delivery time frame is 4-6 business days): For priority shipping and processing, the cost is greatly higher than normal. To have your order rushed you must contact us at sales@fashionleather.com prior to 10 am PST (west coast time) so we can adjust your shipment type. The additional costs will be based on the country destination postal code, and the weight of the merchandise(s). We will calculate this additional cost, and collect the money through your PayPal account only. We will request the money from your account and you must respond immediately to speed up the transaction. Our wholesale discount price is for those customers who buy at least a bundle (a bundle is 12 skins and can be a combination of different items). The discount entitles you to FREE shipping and 5% off your first order. To receive your discount you must order through fashionleather.com and subsequently e-mail us to ensure we refund you the 5% discount on your total order. Your refund will come in the form of payment you chose to purchase your items (PayPal or credit card). Remember you do not need to create a PayPal account; you can choose to use your credit card to purchase your order instead. As you become a regular customer we will increase you discount percentage. If you need any assistant please contact us via e-mail. FashionLeather.com makes every sale a satisfying transaction for the customer. All online purchases bought from Fashion Leather International are covered by the FLI Premium guarantee. If the item is lost in the mail, received damaged, or misrepresented, the buyer will receive a replacement at no extra cost. Return Policy Details: Item must be returned within 7 Days; refund will be given as merchandise credit; a restocking fee of 15% charge to buyer; and buyer will pay for return shipping and handling Fees. Merchandise must be returned in an unopened box or opened box with all original materials. Garments, Hand Bags Accessories: Men's Clothing Women's Clothing, Vests, Blazer, Pans Coat, Jackets, Skirt, Purse, Belt, wallet, Slippers, Chaps, Dolls, Hats, leggings, Gloves, laces, jewelry, computer mouse pad, straps padding patch bracelets necklaces caps case Book binding, Art, insoles, Craft Projects, Trimming / Accents, Upholstery, Seats Chairs, Cushions, etc. Leather, the oldest materials known to man, is animal skin which, by the process known as tanning, is transformed into such things as garments, shoes, furniture and dozens of other everyday articles. Its scent, appearance and texture combine to make it a unique material. Since it is unlike any other type of material, proper care is essential. Leather is an extremely versatile material. It is warm is the winter and cool in the summer. 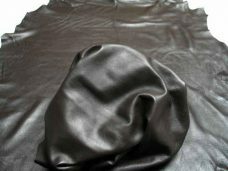 Leather’s excellent insulation characteristics allow both ventilation and evaporation to take place. There is almost no other clothing material that will provide the service and durability of genuine leather. Leather’s well known aging qualities enhance its popularity and value. Whether from disease or injury, scarring in the skin imparts a unique natural beauty inherent to genuine leather garments. Smooth leather or grain leather refers to the top outer layer of the animal’s skin. The only difference between suede and leather is the finish that is applied to the skin. The most common types of hides used in garment manufacturing are lamb, cow and pig. Nubuck is created by lightly buffing the top grain until it takes on a very fine nap that appears smoother than suede. Suede is generally the underside of the hide buffed to a smooth finish. Suede may also be split from a thick hide. The top surface of the new layer looks like suede but is not as soft. 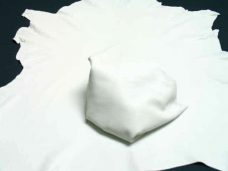 Smooth leather - Use a soft, water dampened sponge or cloth to remove surface dirt or stains. Suede or nubuck leather - Brush regularly to keep dust and dirt from settling in the nap and to maintain its velvety look. Use a brush or block designed for suede and nubuck available at your leather retailer. Never use a wire bristle brush. • Never apply tape or adhesive stickers (such as name tags) to leather or suede, as the glue will permanently damage the skin. • Store garment on a broad hanger, not wire, to maintain its shape. • Some garments have a chain loop at the collar. Do not use this as a hanger. The weight of the garment and contents in the pockets may be too heavy and result in a tear. • Never store in plastic because leather is a skin which needs to breathe. • Store leather in a cool, dry place. Leather can mildew if stored in a hot, humid environment. • Do not store leather near a direct source of light If wrinkles occur due to improper storage, simply hang garment and brush nap (if suede or nubuck). Most wrinkles should hang out. 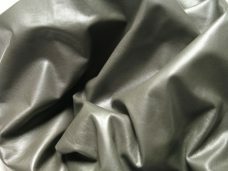 Wrinkles occurring naturally in the skin are the defining characteristics that distinguish leather from man-made materials and cannot be removed. If ironing is necessary, contact Leather Craft for further information. After being stored in our warehouse for periods of time or during shipping, sometimes skins slightly wrinkle. These wrinkles in no way harm the skin and can be easily removed. In most cases, you can remove these wrinkles by simply using your hand and straightening out the skin. For more major wrinkles, you can use a household iron to straighten out the skin. This is done by preheating the iron between 60-80 degrees Fahrenheit. 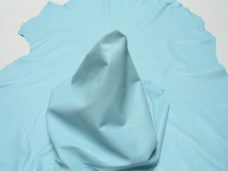 Then place a damp cloth over the skin and carefully iron the cloth. This process indirectly heats the skin without actually damaging or burning it. To be safe, try this procedure on a small corner before you continue with the rest of the skin. If the garment gets wet, remove all items from pockets, hang on a sturdy, padded hanger, and let air dry naturally away from heat. When dry, brush suede and nubuck items to lift the nap. Stains on smooth leather - blot the area with a cloth dampened with water. Stains on suede or nubuck leather - blot the area with a cloth dampened with water. If the stain is oil based, you may sprinkle the area with baby powder or chalk shavings to try and absorb the excess oils. Do not rub. Let the garment sit overnight. Shake powder off and gently brush nap with a suede brush. 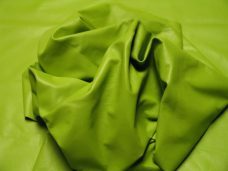 Signs that leather needs cleaning- Professional leather cleaning is recommended when needed, depending upon the wear and care you give your garment. It is generally accepted that only five percent of the world’s hide supply is of high enough quality for pure aniline upholstery furniture. Aniline dyeing is the process of soaking the skins in transparent aniline dyes, which color or shade the skins without obscuring the natural markings or grain character of the leather. The hides are dyed all the way through, with no pigmented topcoat. 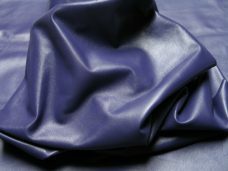 These are terms that define a supplemental step beyond aniline dyeing, which adds a top coating of highly dispersed pigments and dyes to the surface of aniline-dyed hides. 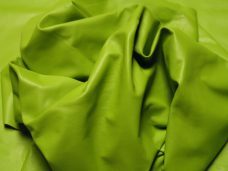 By dyeing the leather throughout before the final surface coating, a very even coloration can be achieved with only a thin layer of finish, and the leather remains softer. We regularly update our FAQ’s page to keep up with the answers you need. If you cannot find the answers you need in FAQ’s please do not hesitate to e-mail us.